DOCUMENTARY FILM. THE AGE GONE. AN AGE TO COME? was held in Jurmala, Latvia, on May 3-9, 1997. It gathered 56 participants an index.html d guests from 16 countries  Bulgaria, Czech Republic, Canada, Denmark, Estonia, Finland, Germany, Great Britain, Hungary, Lithuania, Norway, Poland, Russia, Slovakia, Switzerland and Latvia. 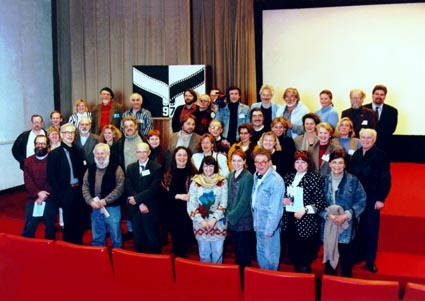 In the framework of the Symposium the Baltic Documentary Film Forum was held in Riga on May 3-7, 1997. Film program shown at the Symposium consisted of 49 documentaries from 15 countries (total duration - 34 hours). After screenings there were discussions with the film directors and authors. Theoretical part of the Symposium consisted of 17 reports presented by film theoreticians from 8 countries. In conclusion the Round Table Discussions were organized where the participants exchanged their opinions on the latest trends in documentary cinema. All reports and discussions were recorded on tape with a view to prepare Symposium Proceedings for publishing. Symposium screenings, lectures and discussions were attended by Latvian filmmakers, critics, journalists and students. For the general audience there were arranged film screenings at the Riga cinema theater and the Cinema Gallery. Selected films from the Symposium as well the latest TV productions and the retrospective of the best documentaries from the Baltic countries were shown there in the framework of the Baltic Forum. The course of the Symposium was reported by Latvian newspapers, radio, TV. The objectives of the Symposium and the Baltic Forum are completely attained. Symposium organizing committee assumed that this gathering may be the last one and 20 years long history of Jurmala Symposiums may be ended for financial reasons, but the participants regarded it as unthinkable. Werner Dütsch (Westdeutscher Rundfunk) even said that the organizers could not imagine the cultural and international significance of their own work. He stressed that now Jurmala is the only place in Europe where discussions are not about money getting for shooting, but on documentary cinema as a genre of art. Tue Steen Müller (European Documentary Network) having a good knowledge of situation, confirmed these words and promised any help for this Symposium in future. Václav Macek (Bratislava Academy of Music and Drama Arts) was very thankful for the possibility to see a large number of films from many countries in a short time because usually the film theorists have limited possibilities of visiting festivals for this purpose. Tuula Kumpunen (co-director of Tampere Film Festival) noted that usually film festivals have no time for theoretical discussions, so this part of the Symposium was especially useful for her. Rainer C.M. Warner (Haus des Documentarfilms Stuttgart / European Media Forum) appraised the organizers work and high level of film program an theoretical discussions. Being one of Symposium co-organizers this year, he expressed his determination to continue co-operation in future. 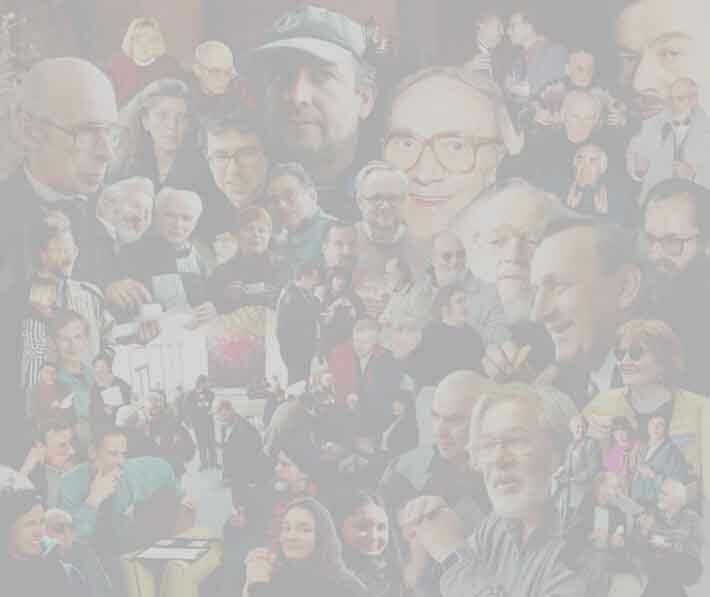 The common opinion was that Jurmala is an ideal place for film theorists to meet film authors and colleagues from Eastern and Western countries every two years. This year the Soros Foundation Latvia support was a decisive factor for to be or not to be. It would be very appreciated if SFL include this Symposium in its regular activity list, taking into consideration the unique place the Symposium has in the international documentary film landscape. It would be important to prevent internationally recognized Latvian documentary cinema from slipping down to provincialism arranging such gatherings, because Latvian filmmakers hardly will have possibilities to travel all over the world watching films and meeting prominent documentary film makers and theorists. It may be mentioned that Symposium supporting will not cost much, because Stuttgart Documentary Film House will cover at least half of total expenses.